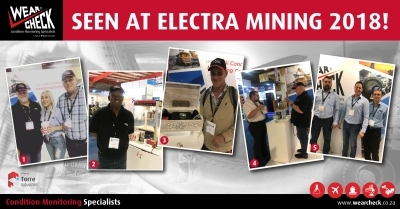 WearCheck was once again at the popular Electra Mining expo in Johannesburg recently. Technical staff were on hand to discuss condition monitoring, and this year the stand also had some novelties – expo guests were given free WearCheck popcorn and could choose a key. The lucky key opened a treasure chest containing WearCheck prizes every single day.